It is pure and raw courage from those who live through it. It is the inspiration from those afflicted and then from those left behind. It is a living, breathing beacon of light and hope, from those who find a way to come back from its depths. Lesley Imhof has been there and back. And closing in on a decade since that moment, she has a story and a lesson for all of us. 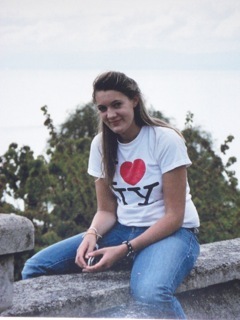 Her daughter Margaux was a normal 15-year-old girl, a junior at St. George’s School in Lausanne, Switzerland. 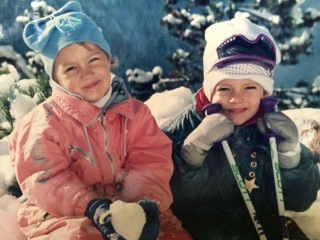 Margaux was a good skier, a good athlete, she sang in the choir, she was an avid reader, she spoke fluent French and Spanish and even dreamed of being an actress one day. The days of her life were full and she was living the life of a teenager. But then there was that day in May of 2004 when Margaux showed her mom the growth on the inside of her thigh. The growth, about the size of a golf ball, was diagnosed as Hodgkins lymphoma, and the family was told that caught in the early stages it was highly curable. But another set of tests told a different story, the growth was actually an aggressive type of cancer, rhabdomyosarcoma – and it had already progressed to stage 4. Treatment was swift – rounds of chemotherapy and some exploratory surgery to find where the cancer originated. That surgery was a success and Margaux was determined to finish out her junior year at St. George’s School. Her teachers and other students were fully supportive, doing whatever it took to keep Margaux on track. For many it was the first time anyone at the school had to deal with this type of life event – a child dealing with a life-threatening illness. Margaux’s principal even showed up at the hospital room where Margaux was undergoing treatment to bring in one of her exams. Margaux finished that year, celebrated her 16th birthday in June and continued to battle back. Part of that battle soon became Margaux’s purpose in life. She wanted to raise money for a foundation to help others – so perhaps no other child would have to go through what she was enduring. Despite the tough treatments for her illness, Margaux managed to mobilize a campaign through her school and the community to raise funds for fond’action against cancer, (http://www.fondaction.ch/). Margaux’s choir created a CD of songs to sell. The CEO of the Fiat car company even donated a car for which the students sold lottery tickets and other students wrote a book of poems, all to raise money and awareness for Margaux’s cause. Despite her daily fight against the disease, Margaux was able to lead an effort which raised an astonishing $100,000. 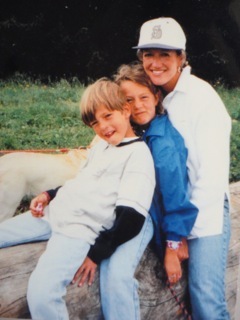 Lesley says her daughter was certainly brave and fearless (at least on the surface) in the face of extreme adversity, but her legacy is Margaux’s ability to connect with people, and to touch their hearts. Lesley remembers how often times Margaux would go out of her way to laugh with the nurses and the other hospital staff to make THEM feel more comfortable when treating her. Her innate ability to make people, young and old, feel at ease, was her most attractive quality. Quality matters, but it was the quantity of time that was running short. Time. That one element of our lives that pushes us toward some destiny, some outcome, sometimes one so random, it is completely out of our control. Despite her positive outlook – the illness continued to get the best of Margaux. 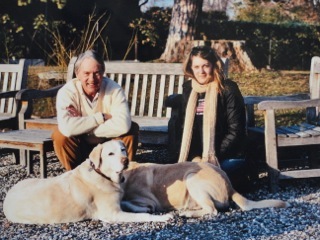 By the spring of her 16th year, Lesley and her husband Robert tried to get Margaux into a clinical trial and get a hold of a drug which they had heard was having success. Their oncologist was not convinced it was worth it, but as Lesley says at the time, as Margaux was getting worse, “you accept anything you can” to try and save her. 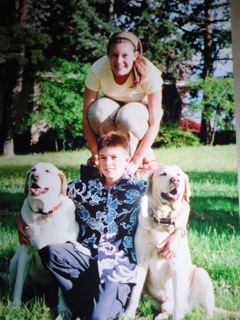 Unfortunately the drug failed to perform and by July of 2005 Lesley and Robert were told to bring Margaux home for hospice. On July 25th, a month after her 17th-birthday, Margaux slipped away. Let’s be honest, every life matters. The trouble with life is when the order of the universe is up-ended, when everything we believe about the cycle of life is in inverse proportion to how we are told our lives should go. At some point we are meant to say goodbye, to bid a final farewell to those who came before us. But never – ever – should it be the other way around. Never should we have to bury a child. There is no reason why, no justification, no final resolution for the simply unimaginable loss and then as a parent to find your way back from the abyss. Not everyone finds their way back. Earlier in this story I shared Lesley’s comment from her original e-mail, “that rare is the individual who can express the depths of a parent’s sorrow.” Yes, I am a father to two daughters, and I understand the incredible unconditional love that resonates with this miracle of life. And while I appreciate Lesley’s kind words, because it means my own writing spoke to her heart, there is a chasm here so big, one I hope never to cross, but it must be acknowledged. I wrote it, but Lesley lived it. So on a personal note I say to Lesley, rare is the individual who can suffer life’s greatest tragedy, and turn this personal, unfathomable pain into what you described as your greatest gain, one of pure gratitude for receiving the honor to experience the miracle of life with this single heart which was so loved by others. A beautiful heart, named Margaux. Another moving story that I so can relate to. It’s stories like this that helps my own healing process. You and your series has been the best medicine that anyone could prescribe. Your loyal fan. Gail, you touch my heart with your comment. 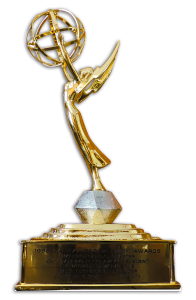 Thank you and thank you for trusting me with your story. Keep healing. for each other. Your words always have such meaning and depth! Beautiful and touching story. Yes, we definitely have to appreciate all those we hold so dear – every day! We never do know what tomorrow will bring. True Bonnie. Thanks for reading. She Gets It: It’s Just About… Life.